Jacqueline founded the Everychild Foundation in 1999 after participation on numerous local nonprofit boards and becoming frustrated with the “gala” fundraising model. She went on to create a membership organization based on the giving circle model that provides meaningful involvement opportunities for educated and professional women. 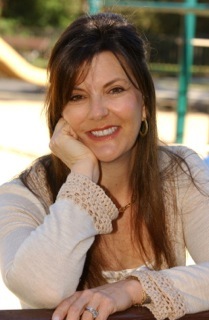 Jacqueline earned her Bachelor of Arts degree from Pomona College, her Masters in City and Regional Planning from the Kennedy School of Government at Harvard University and her J.D. from Boston University School of Law. She practiced real estate law with Loeb and Loeb in Los Angeles in the mid-80s and left the field of law for a career in urban redevelopment. After several years with Disney Development Company, she headed her own consulting firm for more than a decade performing economic feasibility studies for large-scale urban renovation and cultural projects. Her client list included numerous Fortune 500 companies, municipalities and cultural institutions. Ms. Caster was the recipient of the 2014 Nancy M. Daly Founder’s Award from United Friends of the Children and the same year received the Nancy M. Daly Advocacy Award from the National Child Labor Committee in New York City. She has also been honored by with the inaugural Sister Janet Harris Award from Loyola Law School in Los Angeles for her juvenile justice advocacy work, and she received the 2011 Momentum Award from the Women’s Foundation of California. In 2009, she was awarded the Silver Shingle Alumni Award for Distinguished Service to the Community from Boston University School of Law in 2009 where she earned her law degree. She has also been the recipient of the Humanitarian Award from three organizations: First Star in 2004, The Optimist Youth Home in 2005, and Shane’s Inspiration in 2006. Active in the issues of juvenile justice reform and youth aging out of foster care, Ms. Caster has been featured on National Public Radio and Australian Public Radio. She is a currently serving as a member of the Los Angeles County Probation Commission, having been appointed of Supervisor Sheila Kuehl. She also serves on the national board of The Campaign for Youth Justice in Washington, D.C. Additionally, she is a member of the Advisory Boards of Safe Place for Youth, Team Prime Time, The Blue Heron Foundation the Westside Food Bank and The Women’s Foundation in the United Kingdom. She resides in Pacific Palisades, CA and is married to Andrew I. Caster, M.D., an ophthalmologist. They have two children. © Copyright 2019 by Everychild Foundation. Created by Hadley Kia.